Coconut oil has found its way into pantries, medicine cupboards, and even first aid kits. Some of the uses may seem bizarre, but coconut oil has garnered this newfound fame for good reason. For years, coconut oil had a bad name as it was lumped in with unhealthy saturated fats. 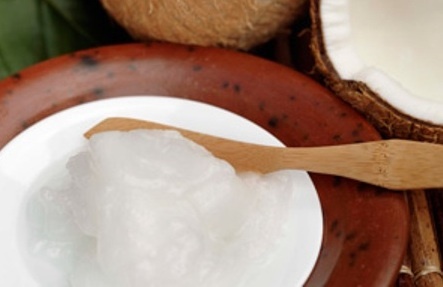 The saturated fats in coconut oil come from medium chain triglycerides. These shorter chains are easily put to use by the body and are not simply stored away as fat. This means coconut oil boosts energy levels, raises good cholesterol, and balances out blood sugar without the weight gain, cholesterol, and other health risks that come from other saturated fats. Coconut oil doesn’t stop there. It is antimicrobial, antioxidant, antifungal, antibacterial, anti-inflammatory, anti-parasitic, and antiviral. It also aids in the absorption of vitamins and minerals. These immune boosting properties make it the perfect oil to use in a million ways. Here are 50 of Sunwarrior’s favorites. Earaches – Earaches, swimmer’s ear, and ear infections clear up fast with a few drops of coconut oil mixed with garlic oil. Sunburn – Coconut oil can help prevent sunburn for short exposures. When you burn, it will also speed healing and take some of the sting away. Make sure you wait until all the heat has dissipated before applying it or you trap the heat in. Wait 24 to 72 hours depending on the extent of the burn.